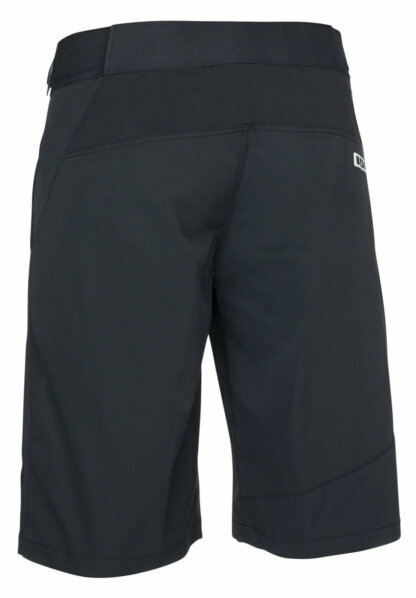 Bike shorts in ION’s Regular Fit combining highly functional fabrics like ultra breathable, fast drying COOLMAX® and robust nylon for additional protection and flex. Fast drying and very breathable yoke insert, laser cut ventilation holes as well as additional Waist Regulation for perfect fit and comfort. Two hand pockets on the front including an integrated Phone_Pouch to protect your mobile device against light showers and small impacts, plus 1 velcro pocket on the back. Reflective Details for additional safety on evening rides. The Ivy shorts are a perfect match to all women’s tops in the ION bike collection. 2way Stretch: High stretch fibers are used in this special construction to give the fabric flexibility in the two directions you need the most. COOLMAX® : fabrics draw moisture away from the skin. It absorbs and transports moisture to the outside of the fabric and dries fast. Its fiber structure is highly breathable and keeps the body cool as well as protecting it from hazardous UV radiation with UPF (Ultraviolet Protection Factor) 40+. Jet Stream: ION keeps you fresh. Literally. Laser-cut holes form the ION lettering – and give you extra ventilation. Back Yoke: High quality, fast drying, breathable and stretch insert. 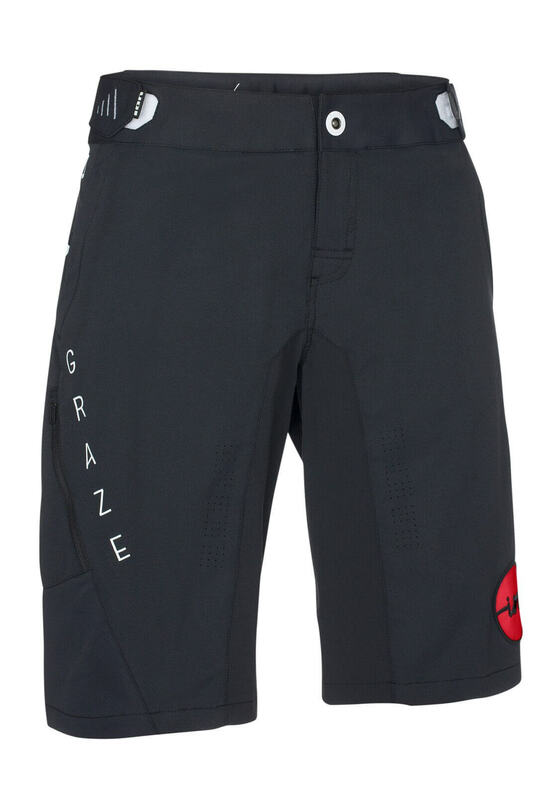 An essential feature on all ION bike shorts and pants. 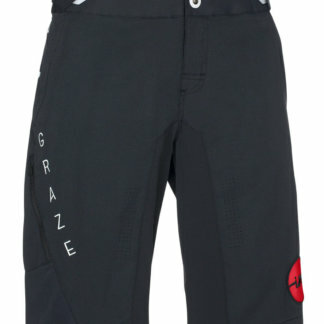 Guarantees a perfect fit at the rear waist area when pedaling and shredding hard. I love the styling and matching of the ION shorts and tops. Haven’t used the phone holder in the pocket – it’s not the right size but I wouldn’t store my phone in there anyway in case it breaks. Would definitely buy ION in future.